Home :: OBD2Repair News :: How to Solve Mercedes Benz Xentry Diagnostics SCN Coding Error "
How to Solve Mercedes Benz Xentry Diagnostics SCN Coding Error "
How to Solve Mercedes Benz Xentry Diagnostics SCN Coding Error "Error on Starting the process"
Xentry Diagnostics is the only software for Mercedes Benz SCN online coding.Some customers got system error after logining SCN online account.Bellow,OBD2repair.com share you how to solve Mercedes Benz Xentry Diagnostics SCN Coding Error "Error on Starting the process". 1.You got this error because your xentry software version is too old to support online coding. Mercedes Benz SCN coding new require new software such as version 2018.7 or 2018.9. 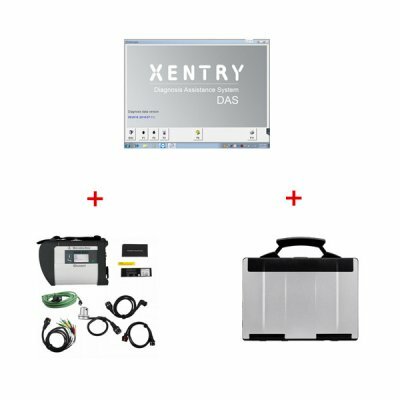 3.To access to SCN coding, obd2repair.com suggest you to purchase a new version xentry diagnostics software ,support more new vehicles and programming online / offline.